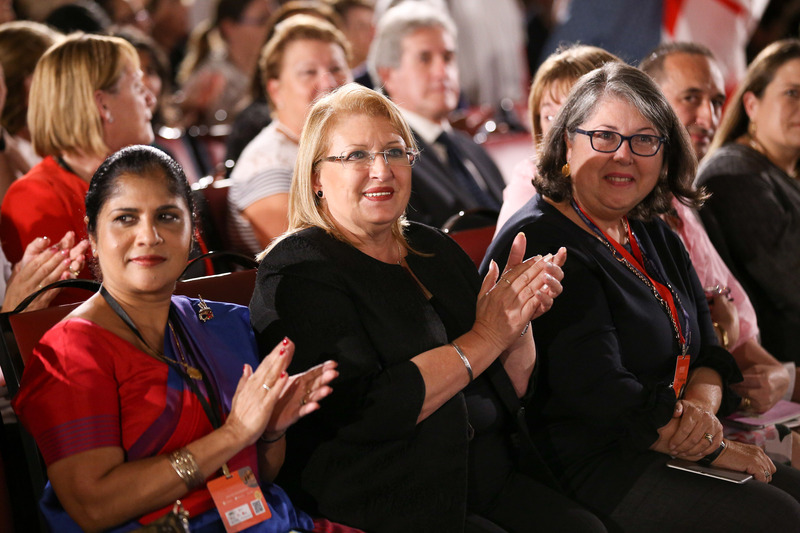 Do not remain immobile in the face of children in out-of-home care getting lost in the system, President Marie-Louise Coleiro Preca urged stakeholders at a conference yesterday. “We cannot stand idle when so many children and young people are getting lost in the labyrinth of institutional structures and formal systems,” the President said. Ms Coleiro Preca called on the stakeholders to be vociferous by pushing policies and initiatives that supported high-quality out-of-home care. “All children are entitled to the best possible care. We must therefore act on our legal, ethical and social obligations to meet the diverse, complex and human needs of every child,” she told those present for an international conference about children in out-of-home care held at the President’s Palace in Valletta. Called Setting Sail from a Safe Port, this is the President’s Foundation for the Wellbeing of Society’s third conference for childhood welfare and brought together stakeholders from 41 countries. It is being held in collaboration with the International Foster Care Organisation, and the partners include the National Foster Care Association Malta, the Foundation for Social Welfare Services and Eurochild. Recalling her experience as Family Minister and her encounters with children and their families, she noted listening to children was imperative, as they had the ability to tell their stories, in the most clear of ways, and being heard was their ultimate right. “Let me encourage you to be champions of children’s rights, guardians of their best interests, and advocates for their holistic well-being,” she said. Earlier Ms Coleiro Preca had noted that the interest shown in the conference was a reminder to those in positions of influence that policy decisions and casework choices had life-altering effects on children and their families. Every decision taken about the well-being of children had a direct impact on the overall well-being of our communities and societies, the President added. “We cannot compromise on making the necessary investment, which our societies must make, to provide children with the best caregivers, placements and institutions, to safeguard their well-being. “We cannot be afraid to make tough decisions when it comes to legislation, policy and implementation, thereby ensuring that our children really come first, at every step of the process,” Ms Coleiro Preca insisted.